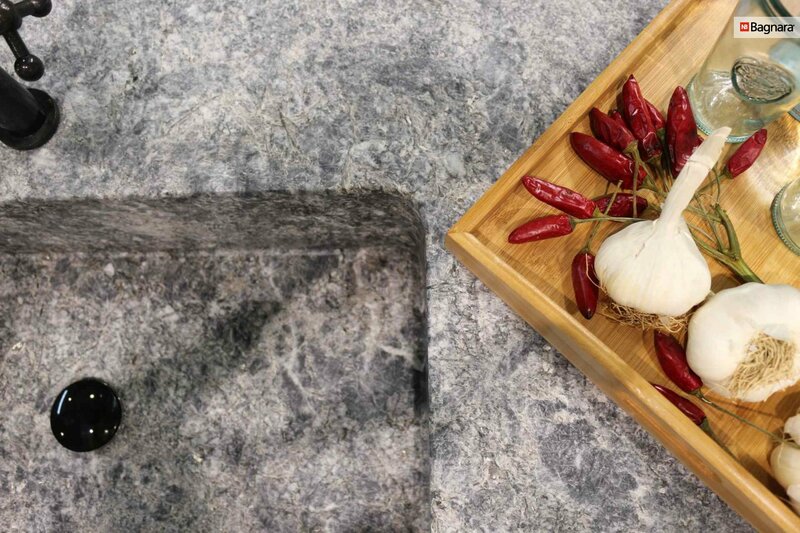 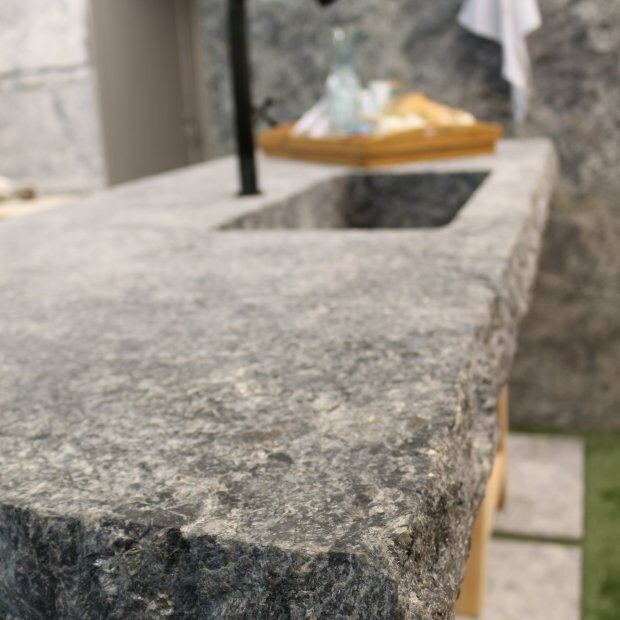 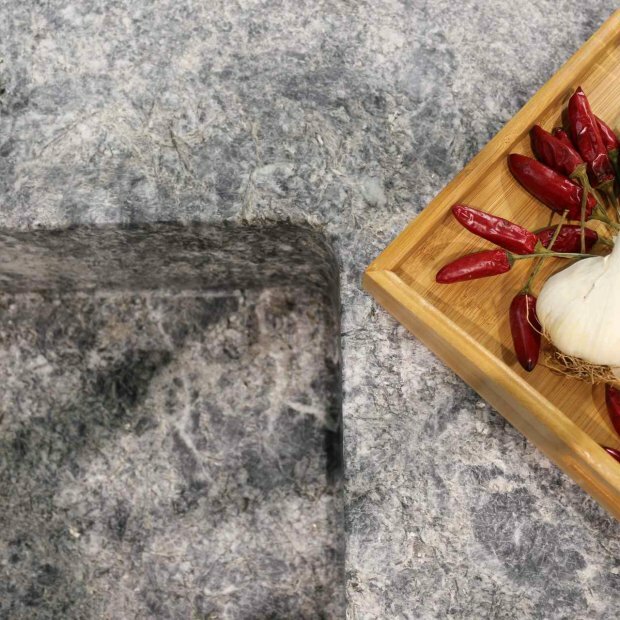 This outdoor kitchen made of the granite Azul Aran® is an eye-catcher in every yard. 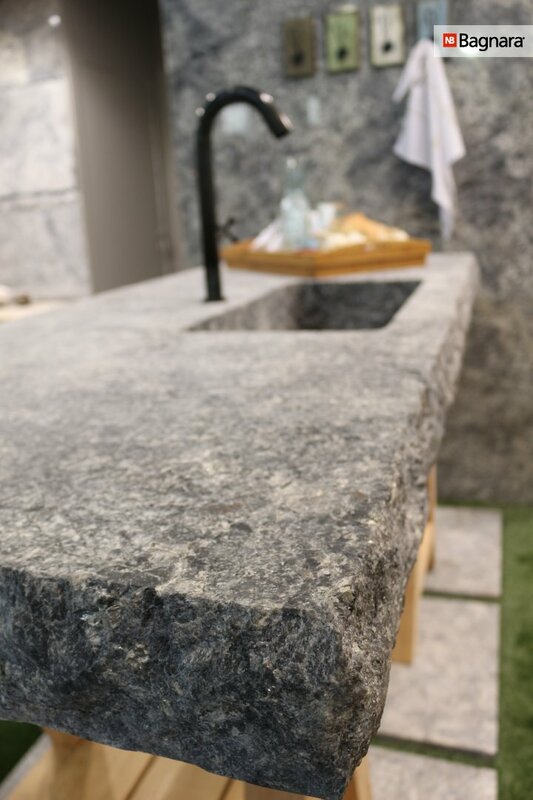 This masterpiece was made in laborious handcraft from one piece of stone. 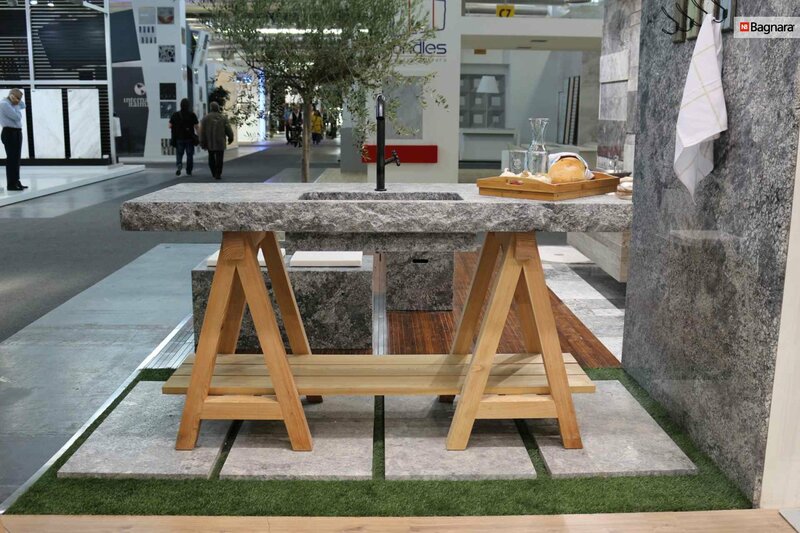 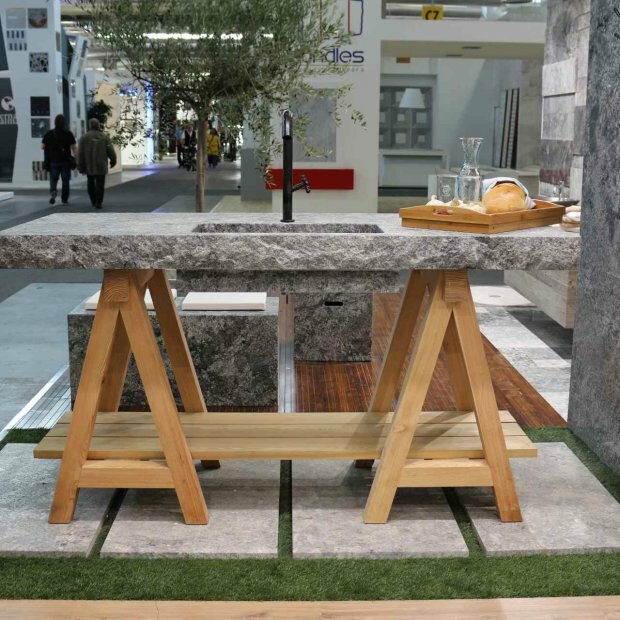 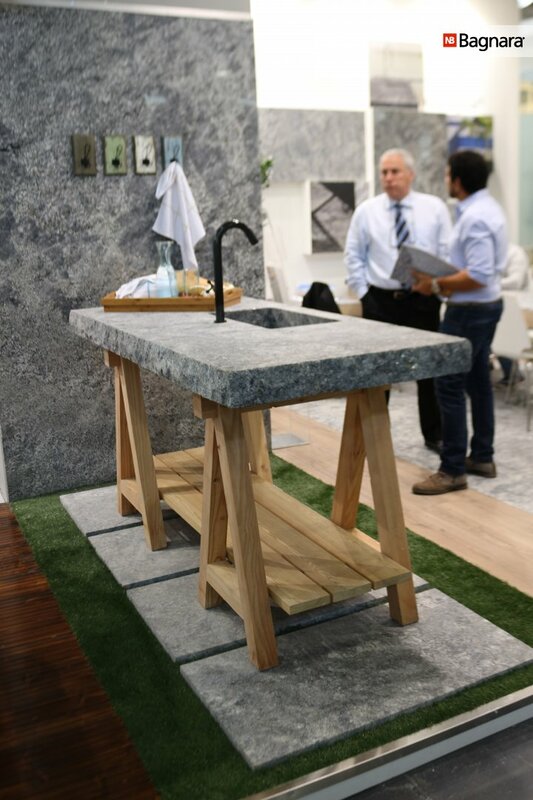 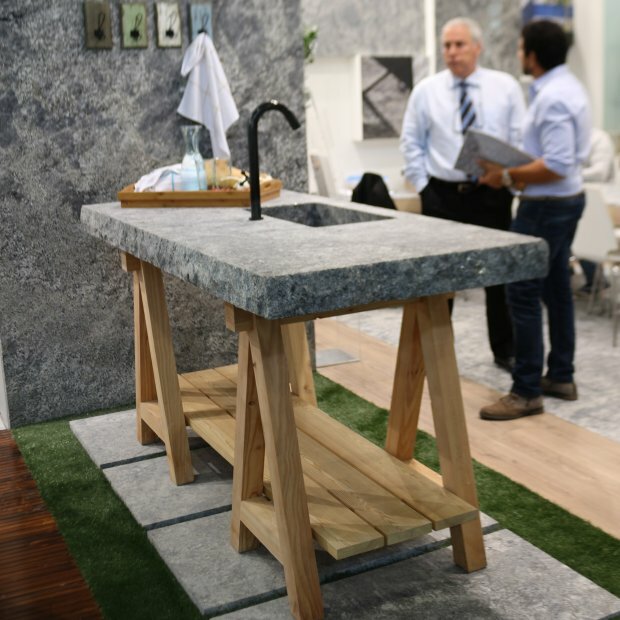 Its natural clefted edges give the outdoor kitchen a rustic but still modern touch.